Vegan, gluten-free, grain-free, nut-free, refined sugar-free, soy-free. Original recipe found on OhSheGlows.com. We’ve been seeing the tender, young asparagus in the markets lately and have been looking for a Spring-Forward dish that’s packed with protein and fiber-rich yumminess. 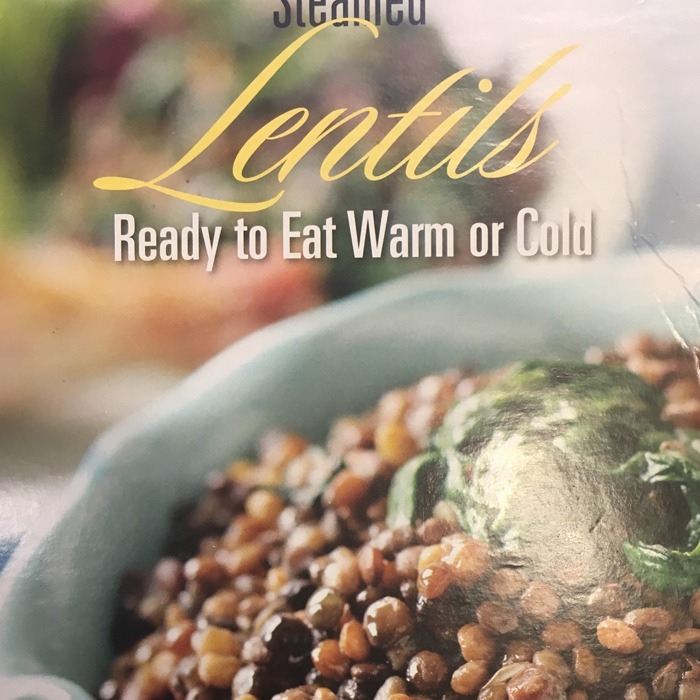 We also have been obsessed with Trader Joe’s already-cooked French lentils! They’re also tender and low maintenance, which is something we love! Use this as a side dish or a main meal! Cooked quinoa would also be equally yummy in this meal! Preheat the oven to 425F and line baking sheet with parchment paper. Open bag of lentils and season with salt (such as Herbamare). Place the asparagus on baking sheet (and the red onion if you prefer to roast it) and drizzle with 1/2 tbsp. oil. Sprinkle with salt and pepper. Roast for 12-15 minutes. Add roasted veg into a large bowl along with the cooked quinoa and lentils and gently toss to combine. Meanwhile, prepare the dressing by whisking all of the dressing ingredients together. I love a tangy dressing with a bite so I used 4 tbsp. lemon juice. If you prefer a less acidic dressing you might want to add more olive oil or you can also experiment with adding a touch of maple syrup (the sweetness will offset a bit of the bite). It’s definitely a dressing you can play around with! Pour half of the dressing onto the veggies and lentils in the bowl and toss to combine. Season with salt and pepper to taste. Serve the salad warm with a garnish of fresh dill (optional), with the rest of the dressing served on the side.